While a perfect outcome of any surgery, even an arthroscopic surgery that we typically perform in sports medicine, is never guaranteed, it has been my experience that most of the frustrations patients have after surgery come from a discrepancy between expectations and reality. And therefore, the underlying theme with all of the following tips is the idea that patients need to ask the appropriate questions and become as informed as possible. While the list below is in no way meant to be a checklist of questions to ask or meant to be comprehensive, it does cover some of the major points some patients fail to consider about recovery after surgery. I hope it helps. Ask friends who performed their surgeries. Would they recommend him or her again? Go online for information. While not every doctor, especially those who have been in practice longer, has a blog or participates in social media, there are almost always informational pages and reviews of any doctor practicing in your area. No information is perfect, and certainly all reviews can be biased, but the more opinions and information you obtain, the more likely you will be satisfied with your choice. Research the diagnosis and both surgical and non-surgical options. With a very few exceptions, at least in sports medicine, surgery is usually not the only option. Little of what we do with respect to knee and shoulder injuries or other problems in athletes or active individuals is likely to cause permanent damage or death. Giving the problem more time to heal, modifying activities, medications, braces, or more are almost always options. Surgery might be more desirable for a number of reasons, but it is always a good idea to know what other treatments are possible. What exactly does the surgery entail? A huge number of people who undergo meniscus surgery claim to have had a meniscus repair (meaning, sewing the meniscus back together). Instead, they likely had a partial meniscectomy (trimming part of the meniscus out). It might not seem like a big distinction, but it does have a large impact on postoperative weightbearing restrictions and potential long-term degenerative changes of the knee. Can I put weight on my leg after surgery? Can I drive? And ask any others that apply to your specific situation. I am always surprised when I tell patients that they will be required to wear a sling at all times for 3-4 weeks after surgery, but they still expect to be able to drive a car. If you aren’t sure, and if the answer will affect your ability to perform daily activities or work or school activities, ask before the surgery. When can you drive after knee or ankle surgery? Ask about and plan the return to school or work. While most of the time patients can return to their jobs in either full duties or with short-term job restrictions, occasionally that isn’t possible. Manual laborers, for instance, have a difficult time working if they have to use crutches. On the other hand, many patients can return and focus on desk duties such as computer work. Likewise, students often can arrange to leave class a few minutes early to avoid crowded hallways. Talk to your boss or teachers ahead of time and work together to minimize time missed. While most surgeries are done under some form of general anesthesia, that option isn’t always required (and occasionally it is not medically advisable). Ask if regional anesthesia to make the arm or leg numb is reasonable. Or are there other options, like spinal or local anesthesia? Inquire about the return to sports or particular exercise programs. Many athletic people are determined to return to sports or a certain form of exercise. It is important to know roughly how long to expect it will take to return to that activity. In addition, knowing if there are ways to get exercise before that time can be helpful. For example, runners are often frustrated if they are kept from running for 2 weeks, let alone 2 months. Discussing options for exercise after surgery, such as a stationary bike or elliptical machine, can ease the anxiety for weekend warriors and athletes alike. Ask if there are ways that you could injure the surgical procedure. Recovery from surgery involves a balance between increasing activity as fast as you can without damaging the procedure done. As surgeons, we would love to allow bartenders to go back to work as soon as possible after shoulder surgery, but we know that lifting cases of alcohol in the first six weeks could disrupt the repair. Knowing what normal activities you do that could be harmful to your surgery is critical to a good outcome. Discuss the risks of nonoperative treatment. Many injuries do not become progressively worse with time, while some do. For example, I have heard many patients who have undergone surgery for a meniscus tear who weren’t symptomatic at the time say that they were told that their knee would develop worse pain and arthritis if they did not undergo surgery (I don’t necessarily agree). Discuss the risks of delaying surgery. Let’s face it. We can’t always plan our injuries around our busy schedules. But not every surgery has to be performed immediately. It’s important to ask the surgeon. Fractures and tendon ruptures often need to be fixed within about two weeks, while many other injuries can be treated later. 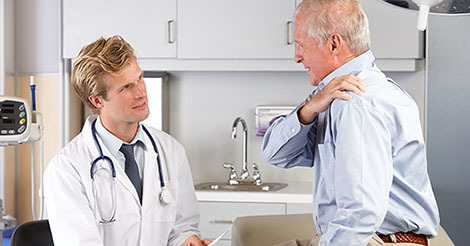 Often I will suggest that a patient consider waiting until after a personal vacation, busy period at work, or final exams at school to undergo knee or shoulder surgery. Frequently patients can have equally successful outcomes with less disruption to their personal lives. Project the time for full or complete recovery after surgery. No surgery is “no big deal,” even ones like I do arthroscopically, through 2 or 3 tiny incisions. Patients are often surprised to hear that it can take patients 4-5 months to reach maximum improvement after a knee arthroscopy to trim out part of the meniscus. Or it might be a full year before an athlete feels normal after ACL reconstruction or shoulder stabilization. While you might be back doing all of your desired activities much earlier, it is helpful to know what recovery after surgery entails and roughly when to expect to be as good as you are going to be.